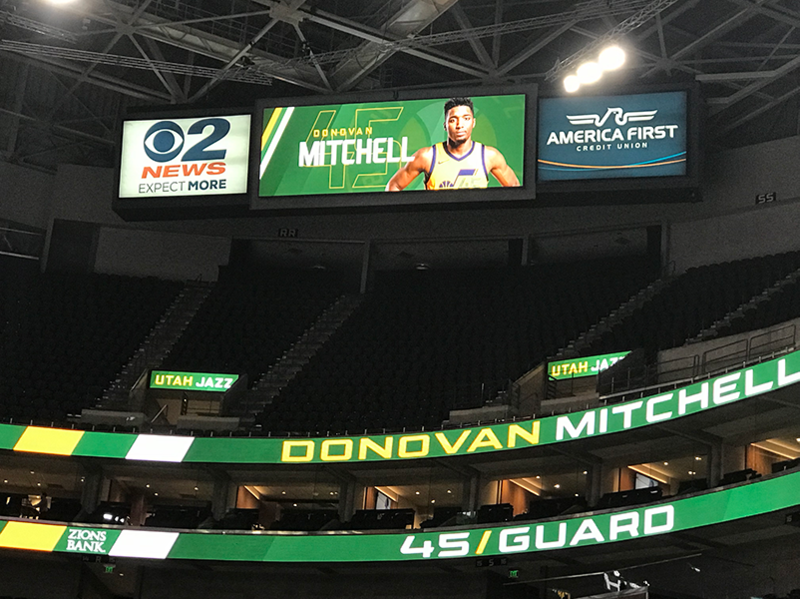 Fans and patrons attending the NBA playoffs at Vivint Center in Salt Lake City may not know this, but they are in the midst of an audiovisual and digital signage first. 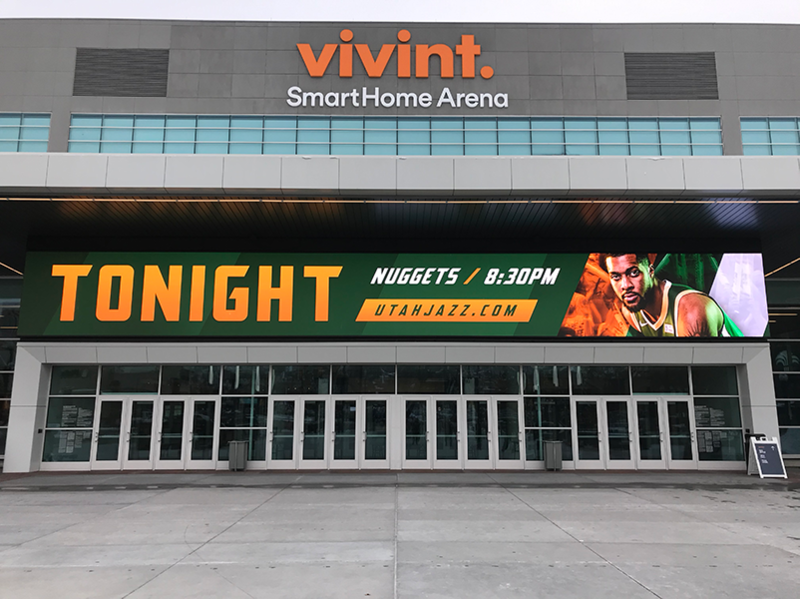 Vivint, the home of the Utah Jazz, is the first stadium-wide deployment of Samsung’s SOC (system on chip) displays. There is not a single media player behind any of the over 600 displays throughout the facility. 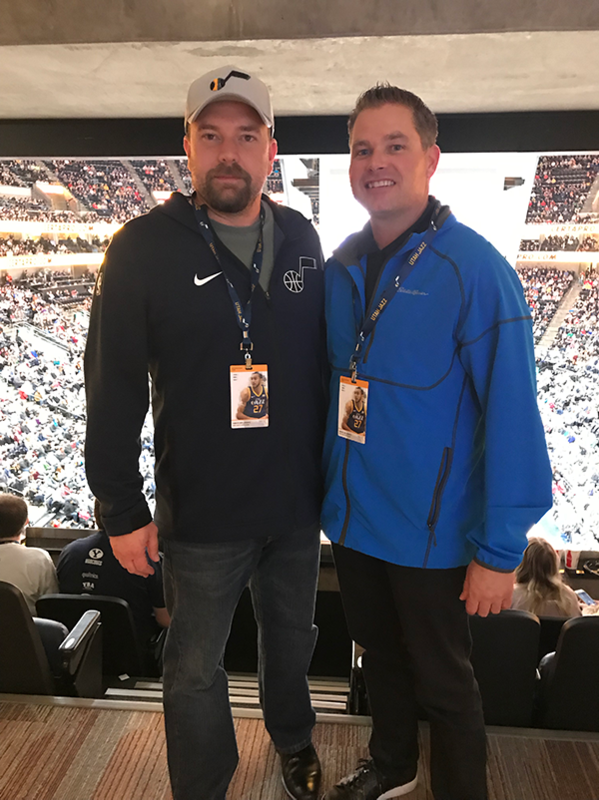 Revel Media Group lead the charge on the renovation BJ Vander Linden and his team at Larry H. Miller Sports and Entertainment (the owners of the Jazz and the Vivint facility) undertook in the summer of 2017. As soon as you enter the facility from the main entrance you are able to see the court and bowl. The design was to make the fans experience the excitement of the game as soon as they walked into the center. There are “porch” areas at either end of the court that can be rented out for meetings, parties, or to watch the games with friends. The Larry H. Miller group took out 1,500 seats to add an additional one-inch width to each seat. There is also enough wireless access to support 8,500 concurrent connections. The experience of the fan was top-of-mind throughout the renovation. When it came to signage, Matt Dopp and Brian Fitzpatrick from Revel lead the way, though it wasn’t easy to get the go ahead at first. 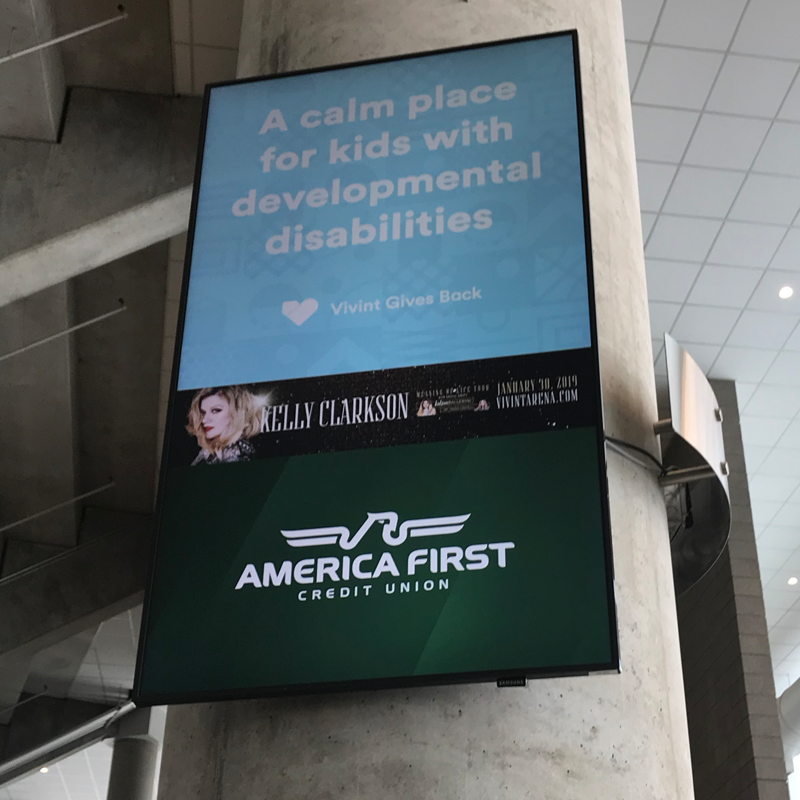 There was some initial pushback on the idea of detouring from the traditional digital signage deployment of display and media player combination. Dobb and Fitzpatrick ran the financials and were able to realize over $1 million USD in savings by leveraging Samsung’s SOC infrastructure. With twelve different resolutions throughout the Vivint center, Revel had to deliver the same content in various ways. Once the artwork is approved and sent to their team, Revel encodes and makes twelve variants of the original; once for each type and screen resolution. Revel created a custom software package that leverages several content management systems (CMS) point of sale and menu board systems, as well as live video. The custom software takes all of these disparate systems and acts as the conduit into the Samsung SOC system, all through a network connection.